As an Associate in Arts student, you have access to extensive Library resources. This orientation will help you learn about tools you can use throughout the Associate in Arts program and when you come to main campus. You’ll also investigate issues from the 2018 Common Reader, Lab Girl by Hope Jahren. First, view the two artworks below and listen to this podcast to learn about how they relate to Lab Girl. Based on what you learn, you’ll be choosing an issue to research. Mary Nimmo Moran, ‘Tween the Gloaming and the Mirk, 1883. 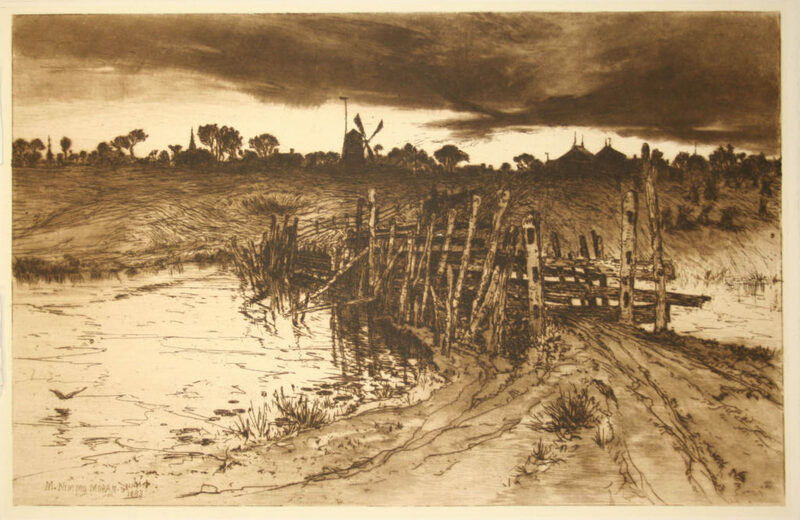 Etching, 13 x 16 ½ inches. 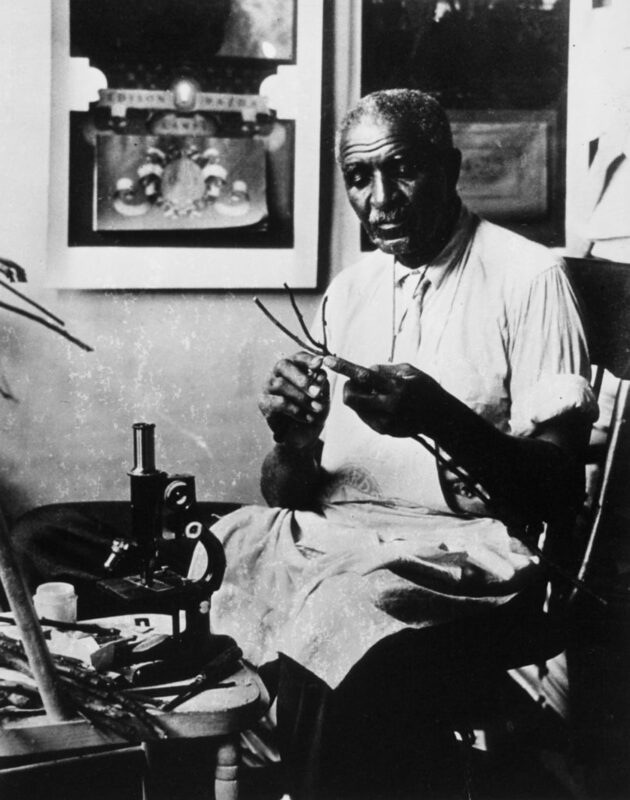 P. H. Polk, George Washington Carver (Peeling a Twig), 1929 (1980 reprint). Gelatin silver print, 16 x 20 mat. Next: Planting Seeds: Brainstorming Resea..